Wilson joined Podipto as a bass player and singer in late 1973, just after the recording of their second album, "Homemade." Wilson's bass and vocals will feature prominently in the 2CD "Live at the Kahler Motel" release that will come out in 2015. Wilson is a versatile and dynamic solo entertainer who has performed in 45 states and eight Canadian provinces. His unique style of "non-stop pop" entertainment easily moves in and out of easy listening, tongue-in-cheek humor, up-tempo classic rock and roll dance music, and high-powered crowd involvement. As a sideman playing bass guitar in bands with Bobby Vee, Ronnie Prophet and Sonny James, Wilson had the opportunity to perform on the same shows as such notable entertainers as Bob Hope, Chet Atkins, Lee Greenwood, The Hee Haw Crew, Foster Brooks, Jimmy Dean, Perry Como, Steve Warnier, Stella Parton, Bandana, The Guess Who, Tommy James, Del Shannon and many more. As a solo entertainer, Wilson has performed at the Western Room and Ronnie Prophet's Carousel Club on prestigious Printer's Alley in Nashville, and also at Bruce Willis' Mint Bar in Hailey, Idaho. 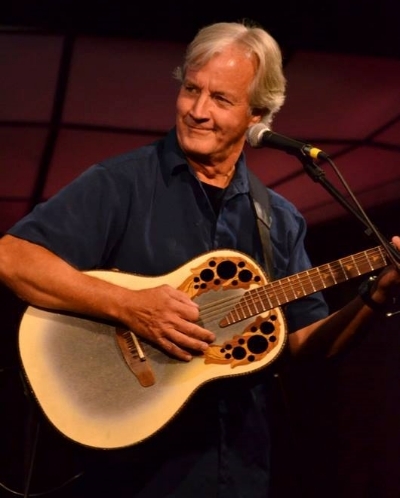 He has headlined at clubs, colleges and concerts across the country and has also opened the show for such notable artists as Michael Johnson, Dave Mason, Great Plains, Phillip Walker and many others. An award-winning songwriter, Wilson has had his songs performed and recorded by various artists and has had modest success as a recording artist with an upper-Midwest pop hit in the late 1970s. "You're Gonna Come Back To Me" reached the top 10 play lists of radio stations in several states. In recent years, Wilson's mainstay in the entertainment business has been performing as a solo entertainer at clubs, resorts and other venues across the United States. He has mixed these activities with performances of his original material at colleges, concerts, radio and television shows, and all kinds of special events.